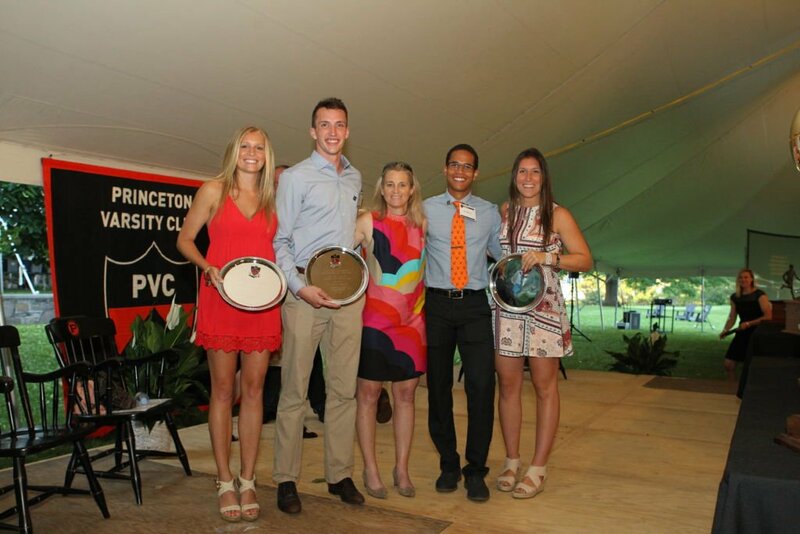 At the conclusion of each academic year, the Princeton Varsity Club distributes several awards and honors as part of the Gary Walters ’67 PVC Awards Banquet. Awards are given out in recognition of athletic excellence, academic achievement and service to the community and pay tribute to exceptional student-athletes, distinguished alumni and supporters of Princeton Athletics. Please click the links below to learn more about each award, and to view a historical list of past recipients. Awarded to an undergraduate athlete in recognition of his or her selfless contribution to sport and society. Given in memory of Art Lane ’34 by friends and family. Awarded each year to the Princeton varsity letterwinner who continuing in competition in his or her senior year achieved at graduation the highest academic standing. Given by the Class of 1916 on the occasion of its 50th reunion. Awarded to that member of the Princeton family who, through heartfelt support of the University’s student-athletes and coaches, best embodies a belief in the lifelong lessons taught by competition and athletics as a complement to the overall educational mission. Awarded in the spirit of Marvin Bressler, professor of sociology, 1963-94.